If you have turned into a heavy tea drinker influenced by the health benefits boasted by recent studies, you need to rethink, as a new long-term research has claimed seven cups or more of the beverage a day could raise the risk of prostate cancer in men. 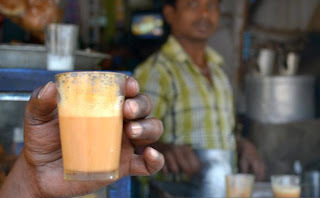 The warning comes from University of Glasgow researchers who tracked more than 6,000 men for four decades and found that those who drank seven or more cups of tea daily had a 50 per cent higher risk of contracting the disease than men who took three or fewer. Their findings, published in the journal Nutrition and Cancer, counter the previous research, which have suggested that tea-drinking lowers the risk of cancer, as well as heart disease, diabetes and Parkinson’s disease. In the new study, which was began in 1970, participants aged between 21 and 75 were asked to complete a questionnaire about their usual consumption of tea, coffee and alcohol as well as their smoking habits and general health. They also had to attend a screening examination. Just under a quarter of the over 6,000 men were heavy tea drinkers, consuming seven or more cups a day. Of them, 6.4 per cent developed prostate cancer over the next 37 years. The researchers also found that the subjects who drank the most tea were often teetotal and led healthy lifestyles. As a result, they may have been at a lower risk of death from “competing causes”, effectively giving them more time to develop prostate cancer, they said. “Most previous studies have shown either no relationship with prostate cancer for black tea, or some preventive effect of green tea,” lead study author Kashif Shafique was quoted as saying by the Daily Mail. “We don’t know whether tea itself is a risk factor or if tea-drinkers are generally healthier and live to an older age, when prostate cancer is more common anyway,” Dr Shafique said. “However, we did adjust for these differences in our analysis and still found that men who drank the most tea were at greater risk of prostate cancer,”he added. Past research has found health benefits from flavonoids antioxidant compounds in tea that are thought to control inflammation, reduce excess blood clotting and limit narrowing of the arteries. Of seven previous studies on black tea and prostate cancer, four found a potentially protective effect while the remainder found no effect either way. Dr Kate Holmes, head of research at The Prostate Cancer Charity, said: “Whilst it does appear that those who drank seven or more cups of tea each day had an increased risk of developing prostate cancer, this did not take into consideration family history or any other dietary elements other than tea, coffee and alcohol intake.